Almohada - Futura Bamboo Pillow - Teleshopping - Llame Ya! Estufa Eléctrica - Handy Heater - Teleshopping - Llame Ya!!! Almohada Tamaño Queen - Sognare - Teleshopping - Llame Ya!!! Trapeador - Hurricane Mop 360 - Teleshopping - Llame Ya! Cepillo Recargable- Spinscrubber- Teleshopping - Llame Ya!!! Almohada (set 2 Unidades) - Airmax- Teleshopping - Llame Ya! Picador De Ajo Genius - Teleshopping - Llame Ya!!! Sartén De Cerámica - Ceramicore - Teleshopping - Llame Ya! Picador/rallador- Salad Chef Smart- Teleshopping - Llame Ya! Sartén De Cobre - Royal Copper - Teleshopping - Llame Ya!!! 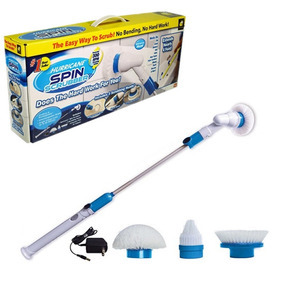 Plumero - Spin Duster - Teleshopping - ¡llame Ya! Rallador / Picador - Pro V Slicer - Teleshopping - Llame Ya! Almohada Individual - Sognare - Teleshopping - Llame Ya!!! Olla Para Pasta - Pasta Pot - Teleshopping - Llame Ya!!! Set De Cuchillos - Miracle Blade - Teleshopping - Llame Ya! Almohadón / Acolchado - Quishion - Teleshopping - Llame Ya! Dispensador De Nylon - Wraptastic - Teleshopping - Llame Ya! Reclinador - Magic Recliner - Teleshopping - Llame Ya! Barredora - Hurricane Spin Broom- Teleshopping - Llame Ya!! !